14 Apr Manufactured or Modular Home – What’s the Difference? When we say the word “modular home,” people sometimes imagine a double-wide sitting at the local mobile home park. However, if this is what you picture, then you are probably confused regarding the differences between mobile, manufactured, prefabricated, and modular homes. A modular home may also be referred to as a prefabricated home. What is the definition of a modular home? A modular home (or prefabricated home) is built in a factory to about 80-90% completion and then trucked over to the building site. A modular home, unlike its manufactured counterpart, does not ship fully assembled, nor is it built on a chassis. It is built to about 80-90% completion in a factory before transportation to the homebuyer’s property. 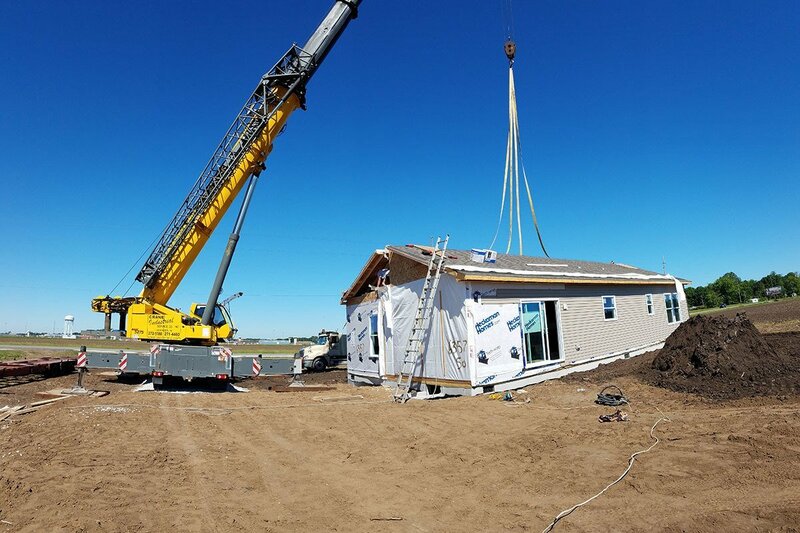 The home arrives at the job site in multiple pieces, and a crane operator sets each piece in its place on the foundation. Once it is completed, a prefabricated modular home looks indistinguishable from a traditionally built home. They must be built to the EXACT same local, state and regional building codes as homes built on-site and are covered by a builder’s warranty. A modular home receives the same treatment by banks as homes built on-site. They are easy to finance and get refinanced. They appreciate over time the same as site-built houses. Each home must be inspected and approved by local inspectors on site, as well as in the factory during production. A modular home can be built in any size, shape, or floorplan, just like a traditional home. Modular homes are stronger than homes built on-site due to the fact that they must withstand the rigors of over-the-road transport. They can be customized and tweaked to the individual customer’s taste. Modulars save money on utility bills when compared to a site-built home do to energy-efficient construction. Unlike a site-built home, the foundation for a prefabricated home can be started and completed separately, It is usually scheduled to be built at the same time as the home is being built in the factory. A FEMA study found that modular homes were better equipped to withstand the wind and water during Hurricane Andrew than most other site-built homes in the area. As we’ve already pointed out, a modular home is NOT a mobile home. In fact, technically, the term “mobile home” is obsolete. Many people think that a mobile home refers to any transportable trailer or dwelling. Technically, the term only refers to transportable homes built prior to 1976. In 1976, building codes changed drastically, and homes built from then on were classified using other terms. In truth, a mobile home is nothing more than a prefabricated structure that was transported and then used as a permanent home (prior to 1976). The term “Manufactured home” replaces what we used to call “Mobile homes” or “trailers.” They are built entirely off location and then moved from property to property depending on the homeowner’s travels. Manufactured homes are intentionally designed with a permanently attached wheeled chassis to ensure long-term portability. Compared to modular homes, manufactured homes often cost less. They are built using different building standards than modular and site-built homes. Manufactured homes don’t typically exceed 2,200 Square Feet. Design options are limited, as most manufactured homes come in only two pieces (aka a double-wide). Customization is limited t0 the cosmetic and you cannot add onto the structure once it’s finished. Manufactured homes can be set on a permanent foundation, giving them the semblance of a site-built home. However, a manufactured home loses its value over time similar to an automobile. They typically don’t appreciate as a traditional house would. Inspection of a manufactured home takes place in the factory, so they do not have to be structurally approved by a local inspector. Each home is manufactured in sections at factories. They rarely have more than one story. You can place a manufactured home on either a conventional foundation (basement or crawl space) or on “in-ground‟ piers or pads. They are “mobile” in that they are transported to the site on their own wheels attached to the steel frame under the home. This steel chassis remains with the home as part of the floor system. A manufactured home can be placed on property owned by others, such as a trailer park lot that is leased by the homeowner. Manufactured homes are treated as a separate lending category from modular and on-site built homes. Which type of home is the best investment? The ideal investment varies from situation to situation. It depends on the family, their needs, the long-term goals, and many other factors. However, there are several items to consider that might help you decide which option is best for you. Affordable – Mobile/manufactured homes typically cost much less than the average custom or stick-built home. Purchasing one is, of course, much more expensive than paying apartment rent; however, depending on your future plans, it is an affordable long-term option. Allows for some privacy – Unlike an apartment, a mobile/manufactured home stands alone, offering a sense of privacy and ownership to those living in it. Transportable – Though not always ideal, you can move manufactured homes from location to location should the owner desire it. Value decreases over time – The older a mobile/manufactured home gets, the lower its value shrinks. Fortunately, this is not necessarily true of the property it sits on. Moving them can be quite expensive, up to thousands of dollars. Mobile homes are often a pain to relocate, so owners often stay in their current location to avoid spending thousands of dollars to move. In the end, this defeats the purpose of owning a “mobile” home. A modular home is a viable option for those who want a fully-customizable forever home. They cost more than a manufactured home but they typically cost less than a stick-built home. This is due to less construction waste and savings passed along by the builder. Though we’ve mentioned some of the advantages of modular homes earlier in the article, let’s recap them for comparison. Modular homes are unique in that building materials are never wasted. Since the rooms are assembled off-site, construction workers simply reuse extra materials, rather than throwing them away as they would with an on-site built home. This lowers building costs. Floor plans are entirely subjective in the world of prefabricated and modular homes. You are free to work alongside your builder and design the perfect home plans. Every room, wall, and detail is wholly customizable. Since the rooms are essentially building blocks, there is no limit to possible additions. Perhaps you did not want three bedrooms when you built the house, but a few years later, you do. You can simply contact your modular home builder and make a plan to add on. You can build a custom modular home much faster than standard custom homes. Typically, it takes just a few months for completion, making move-in quick and simple. The people at Next Modular know that building a home constitutes a major life event. 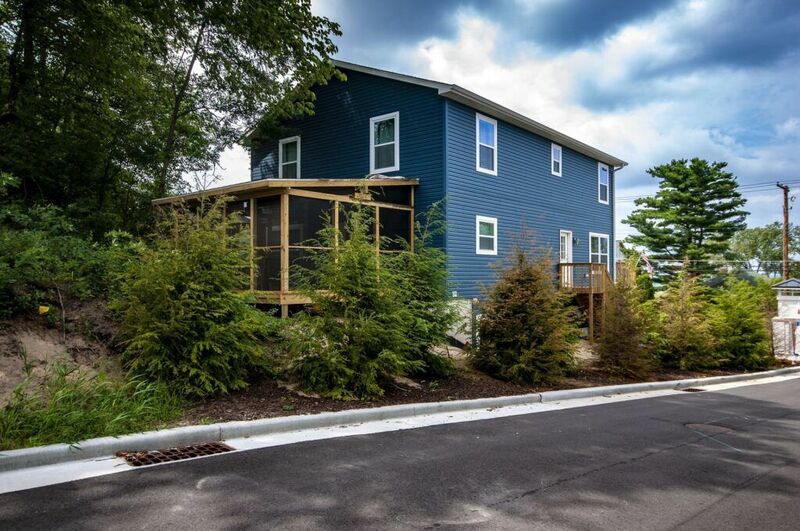 As an experienced modular home builder, we commit to giving you the best possible building experience.